To the north of Mumbai is Madh Island, and Madh fort is situated here, between Madh Island and Versova. This fort was built in 1600 by Portuguese to safeguard Marve creek and as a prison. This fort is in a good shape amongst the ones in Mumbai, with ramparts and bastions intact. The fort is surrounded by land on three sides and faces Arabian Sea on its one side. There are slits for guns in the walls. The secret passage towards the sea is closed now. The main entrance is closed and there are stairs through the bastion. Since the fort is under the control of IAF, it can be seen only from outside. Also, photography is not allowed. We have to go to get Best Bus number 271 from Malad west to reach the fort. 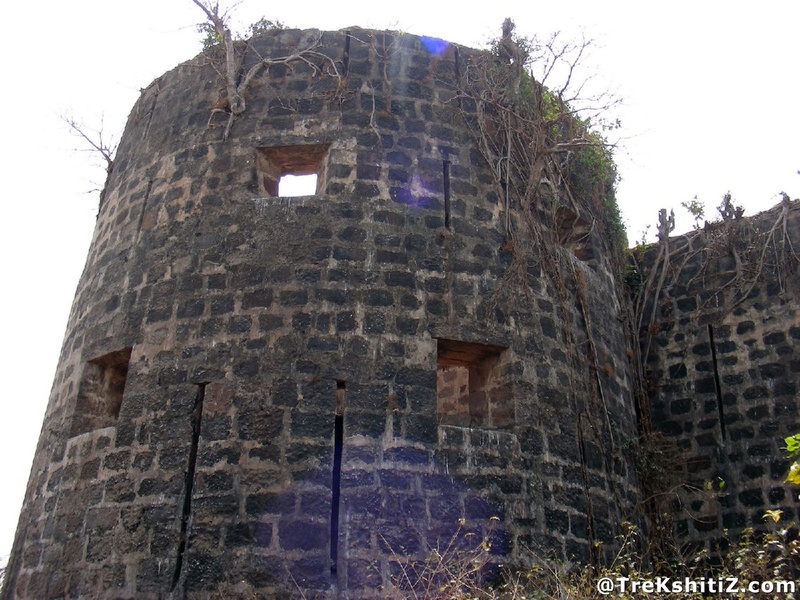 From there, we reach the back side of the fort walking towards Killeshwar temple. There is a way from the temple which takes us around the fort.